Sometimes it's the folks in the stands who make the greatest catches at a baseball game. And that's more impressive because many of the greatest fan grabs were made by people with a beer or a baby in the other hand. We'll be massively impressed, though concerned for the child, if we ever see a parent pull down a foul ball holding both at the same time. As the dog days of summer get ready to seize professional ballplayers and turn them into overheated zombies, fans need to ready themselves too. A foul ball is not just a souvenir but a threat. Just ask the dude from the Astros game last year who dodged a ball and let it hit his girlfriend, who rightfully dumped him. Some fans have made incredible barehanded catches on line drives; others have snagged sharp grounders that reached the walls; and one fella who we truly admire scooped a ball while returning to his seat with a tray of food (above, left). Baseball really is America's pastime. Enjoy these videos. By now, Super 8 has either rekindled your fondness for Steven Spielberg’s whimsy or — well, it hasn’t. Either you embrace nostalgia and the comforts of epic, innocent fantasy, or you’re purposely done with them until another Toy Story comes out. I sympathize with the latter option, especially if you think the keywords “Steven Spielberg” and “innocence” call to mind Hook, the 1991 kiddie blockbuster that asks, “What if we took the story of Peter Pan, threw it out, and invented an unrelated story about a grumpy man who begrudgingly saves his kidnapped children?” Tah-dah! Yuck. And yet, I found a few reasons to love this troubling movie. Chortle with me as I rank them! Let’s start with some gentle hatred: Hook is way too mopey and 1991-riffic (synonyms) to be considered a sequel to or variation on J.M. Barrie’s Peter Pan. Not even close. That’s like if Katy Perry released a squawky, gawky cover of Kate Bush’s “Wuthering Heights” and credited Emily Bronte as an active co-writer. My god, please! No literary cred for you, Katy! Similarly, we’re bearing witness as Spielberg straps a cupcake bra to a children’s classic and plunges roman candles thereon to guarantee a nine-figure explosion at the box office. Taste flies right out the window with the frosting. Hook is based on an idea Barrie had to write a story about Peter Pan’s adulthood. It never came to fruition for undisclosed reasons, but I imagine one of them is that the story of Peter Pan is just too timeless for a foray into middle age. You don’t need to update something that’s chronically relevant (or chronically chronic). I forgive Spielberg for the error in judgment because there are five giant reasons this 140-minute movie is worthy of love in 2011, and I’m prepared to recite them like wee ole Smee. Hook gives us Robin Williams as a grown Peter Pan who has officially mutated into a corporate schmuck. When he takes his family to visit his childhood orphanage run by the now-80-year-old Wendy (played by 56-year-old Maggie Smith), a hook-handed vandal kidnaps the children and whisks them off to what appears to be a well-embellished miniature golf course called Neverland. Peter must reconcile his long-buried past, venture to Neverland with the just-arrived Tinker Bell (Julia Roberts), and save his spawn from Captain Hook’s (Dustin Hoffman) grasp. Do we need more characters? Spielberg insists we need not just an Emerald City’s worth of walk-ons, but enough celebrity appearances for a few seasons of ABC’s Hotel (‘83-‘88). Phil Collins plays a police inspector; sci-fi vet Nick Tate turns up as a dueling pirate; George Lucas and Carrie Fisher appear as a canoodling couple; Spielberg godchild Gwyneth Paltrow debuts as young Wendy; David Crosby and Jimmy Buffett join Hook’s crew and wear their everyday clothes to blend in. And before you can wonder whether one of the Lost Boys is a growth-stunted Goonie, you see Glenn Close playing a male pirate (pictured) who Hook jettisons in the first 45 minutes. 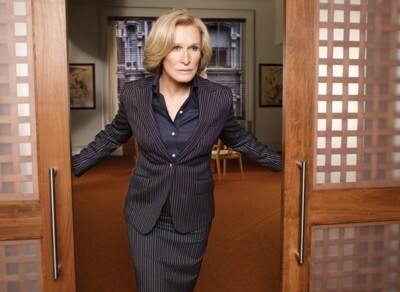 Patty Hewes would’ve argued her way out of that phony beard. You have to wonder why Spielberg sensed mass audience appeal in a movie that repeatedly shows Peter’s kids getting kidnapped, hauled off, suspended in a pirate net, or begging for mercy. Ah, juvenile torture. Reminds me of other kiddie classics like Ransom or Halloween III: Season of the Witch. Reportedly, Spielberg found Julia Roberts difficult to direct because she’d just broken up with her Steel Magnolias paramour Dylan McDermott. Factually, I find Julia Roberts difficult to resist because her spin on Tinker Bell is a boyish coquette in a shag wig. Look at her! The Goodbye Girl subsumes Charlie St. Cloud. Ashton Kutcher mates with Laura Prepon and delivers Topher Grace! Tatum O’Neal gives birth to Kristy McNichol, who is pregnant with Tatum O’Neal! Something! You (shouldn’t) understand. Kudos must go to Leonard Maltin, who once said of the ’90s-updated Lost Boys in Hook, “[They] look as if they’d be at home in a McDonald’s commercial.” Indeed, these leather-togged, feather-banded scamps are the most annoying, camera-ready freaks at the skate park. First of all, they really skateboard. There’s a ramp and everything, like they’re hanging out in the weird kid underground from Teenage Mutant Ninja Turtles. Second, the Lost Boys community is a wildly depressing refuge, a Newsies bunkhouse without the songs, dances, or general productivity, let alone commitment to journalism. I give the producers credit for chasing the zeitgeist of ‘91, but in a better film, some of these kids would wear Zubaz and listen to C+C Music Factory. — I love what happens when you put technology in the hands of very creative people like André Chocron. Using only time-lapse photography, the Norwegian director created one of the best music light shows I've seen. Cold mailman - Time is of the essence from André Chocron on Vimeo. Cupertino City Council is likely to approve Apple's plans to build a new four-story spaceship-like HQ in the city, which would house around 12,000 staff. In response to Apple CEO Steve Jobs' presentation to the council, Cupertino Mayor Gilbert Wong said: "There is no chance that we're saying no [to Apple]. The Mothership has landed in Cupertino." 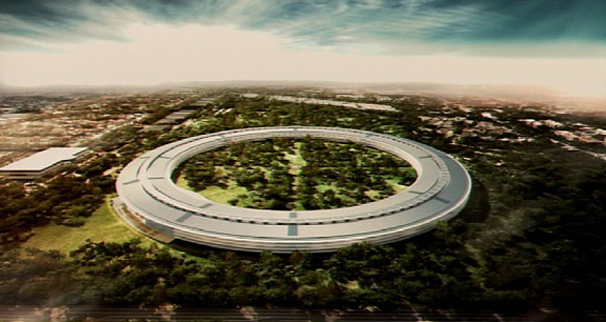 Jobs on Tuesday unveiled plans to build a new campus near Apple's existing headquarters in Cupertino, in a circular shape that looks like a spaceship. The new space would be used to accommodate Apple's growing staff numbers. "Apple's grown like a weed and as you know, Apple's always been in Cupertino," Jobs said in his presentation. "The campus we'd like to build there is one building that holds 12,000 people." Cupertino City Council reacted positively to Apple's plans for a new HQ. Wong said: "Every time that we have a large company that has a large sales tax produced we are very accommodating to that company." The four-story Apple mothership is expected to be completed in 2015, and would use self-generate energy, with the grid only used for backup power. In his presentation, Jobs empasized the green credentials of the upcoming campus, which will be built on land Apple originally bought from Hewlett-Packard while downsizing. Parking at the Apple spaceship HQ will be underground, and 80 percent of the area currently used for parking will be landscaped, from currently 3700 trees to around 6000. A new research and development center will also be built, along with a new auditorium, so that Apple won't have to go to San Francisco for big k eynote events. Labels: apple, build a pc, PC, Pc Parts, Steve Jobs, U.F.O. The Paramount Pictures project is loosely based on the novel "Zabibah and the King" - by Saddam Hussein. Paramount Pictures has released the first images of Sacha Baron Cohen as The Dictator. The film, due out May 11, 2012, tells the heroic story of a dictator who risked his life to ensure that democracy would never come to the country he so lovingly oppressed, the studio said earlier this year. It is inspired by the novel Zabibah and The King by Saddam Hussein. Producing alongside Baron Cohen are Scott Rudin, Alec Berg, Jeff Schaffer and David Mandel. The Alamo Drafthouse in Austin, Texas, now airs her expletive-filled rant before all R-rated movies that it shows. You might want to think twice before texting the next time you are at the movies. A movie theater in Austin, Texas, has gotten its revenge on a customer who insisted on doing that very thing. In a blog post on the Alamo Drafthouse's website, the theater claims it has a strict no-talking policy that was adopted in 1997. "Recently, we had a situation where a customer persisted in texting in the theater despite two warnings to stop," the blog post reads. "Our policy at that point is to eject the customer without a refund, which is exactly what went down that night. Luckily, this former patron was so incensed at being kicked out, she quickly called the office and left us the raw ingredients for our latest 'Don't Talk or Text' PSA." That's right: The customer not only got kicked out of the movie without her money, but her angry, expletive-filled voicemail is now being played as part of a video airing before all the R-rated movies shown at the theater. Watch the video -- and listen to her rant -- below. (CBS) - This woman gives Facebook friendships a whole new meaning - the permanent kind that you can't delete because someone's constant, stupid status updates are annoying you. She gets her 152 friends' Facebook default profile pics inked on her arm. "After months of work I want to show you all my social Tattoo. Pretty amazing right?" says YouTube user susyj87. "I'm really proud of it. Hope you like it too!" We do! The idea is really cool. Just one question: What happens if someone unfriends you? Hilarious! I don’t know why Scare Tactics isn’t the number one show in television. This one is a close second to the Rat Boy clip. That might be one of the funniest things I’ve ever seen. Where do they find these dudes. Chinese scientists have genetically modified dairy cows to produce human breast milk, and hope to be selling it in supermarkets within three years. The milk produced by the transgenic cows is identical to the human variety and has the same immune-boosting and antibacterial qualities as breast milk, scientists at China's Agricultural University in Beijing say. The transgenic herd of 300 was bred by inserting human genes into cloned cow embryos which were then implanted into surrogate cows. The technology was similar to that used to produce Dolly the sheep. The milk is still undergoing safety tests but with government permission it will be sold to consumers as a more nutritious dairy drink than cow's milk. Workers at the university's dairy farm have already tasted the milk, and say it is sweeter and stronger than the usual bovine variety. There are 1.5 billion people in the world who don't get enough to eat. It's our duty to develop science and technology, not to hold it back. We need to feed people first, before we consider ideals and convictions. "It's good," said worker Jiang Yao. "It's better for you because it's genetically modified." The scientists have also produced animals that are resistant to mad cow disease, as well as beef cattle that are genetically modified to produce more nutritious meat. The director of the research project, Professor Li Ning, says Western concerns about the ethics of genetic modification are misplaced. "There are 1.5 billion people in the world who don't get enough to eat," he said. "It's our duty to develop science and technology, not to hold it back. "We need to feed people first, before we consider ideals and convictions." In contrast to Europe, China has eagerly embraced genetically modified food. GM cooking oil, papayas, tomatoes and potatoes are already widely available. On the heels of the Captain America: The First Avenger character posters unveiled last week, Paramount Pictures has debuted the first TV spot for the Marvel film. And unlike the Nazi-hating trailer, the new 30-second clip teases plenty of shield play. Watch Chris Evans leap through the air with his shield, knock out Hitler’s henchmen with his shield, throw his shield, catch his shield, ride his custom motorcycle with his shield and ask for your feedback on his shield. Be warned though: You may have to sit through 30 seconds of ads for the 30 second clip. Apologies! Joe Johnston’s Captain America: The First Avenger hits theaters July 22. 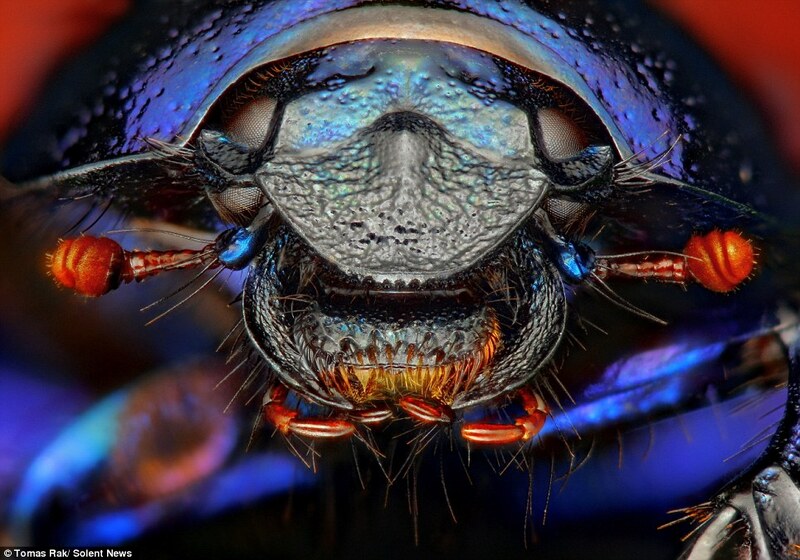 If you are scared of creepy crawlies you might want to look away now. 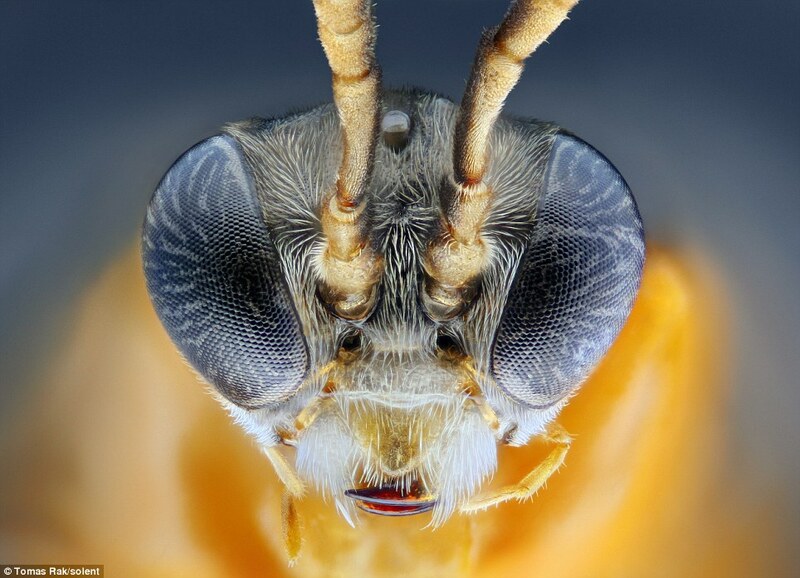 These are the remarkable close-up photographs of flies composed by stitching together up to 687 separate images taken through a microscope. 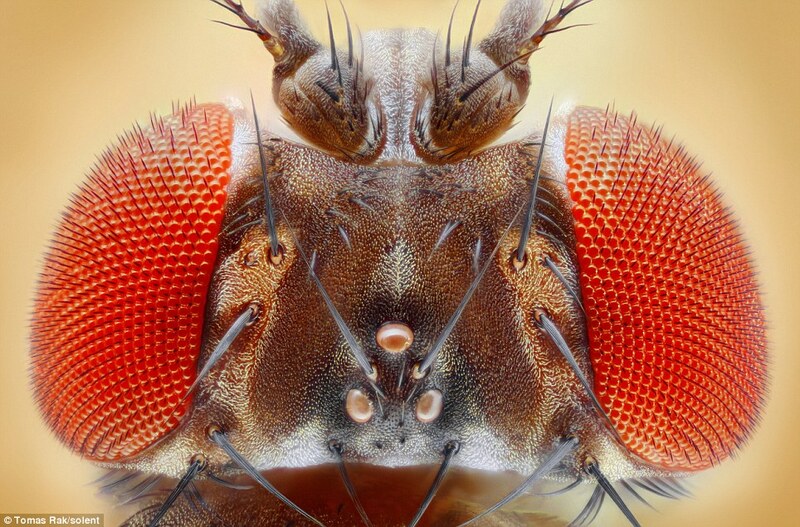 Tomas Rak photographs a tiny area of the fly under a microscope before moving it a mere five hundredth of a millimetre and taking another snap. 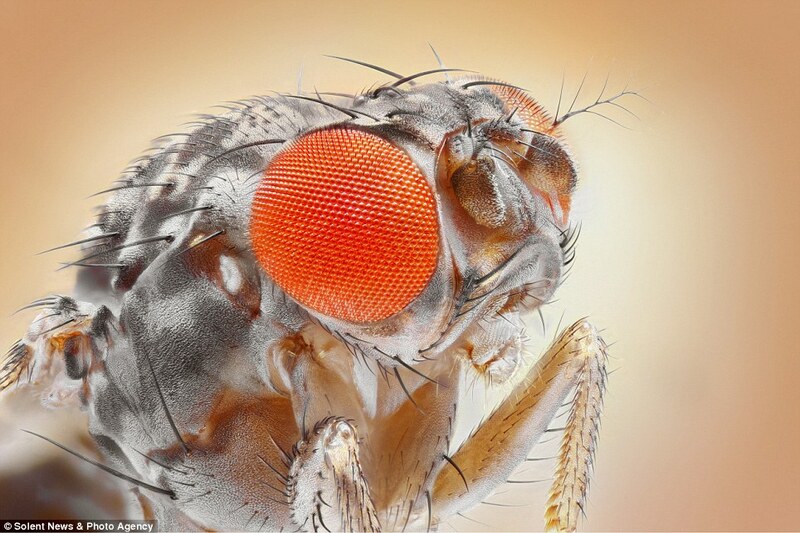 It can take a staggering 687 movements and 'micro-photographs' to capture every part of the fly in such stunning detail. He then uploads the images to a computer and 'stitches' them together to create a larger whole. 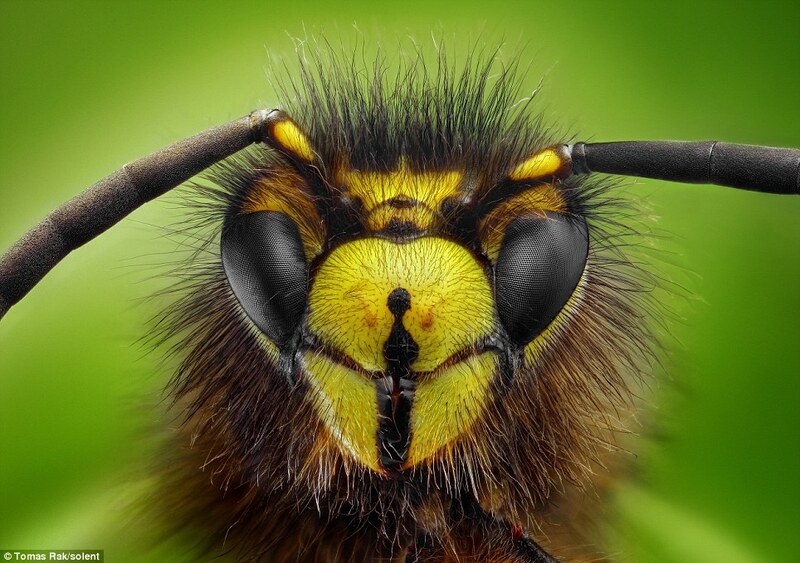 They show the furry insects' bizarre facial expressions, bright colours and bulging eyes in an extraordinary new way. 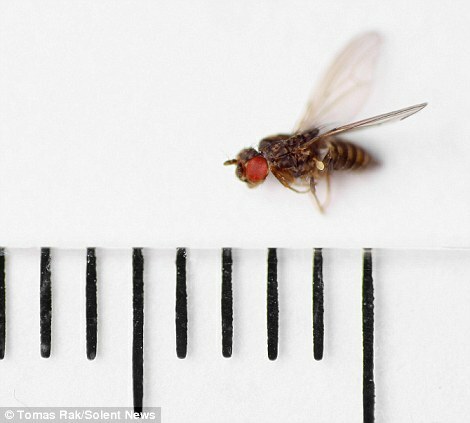 Mr Rak, from Wandsworth, south-west London, said: 'I put the flies on a special microslider which can be moved as little as one five hundredth of a millimetre. 'I then place this under a camera and microscope and take a photo. 'I get a really sharp picture but over a small area so I move the microslider across a tiny bit and take another shot. 'This has to be repeated many times before I have photographed the whole fly. 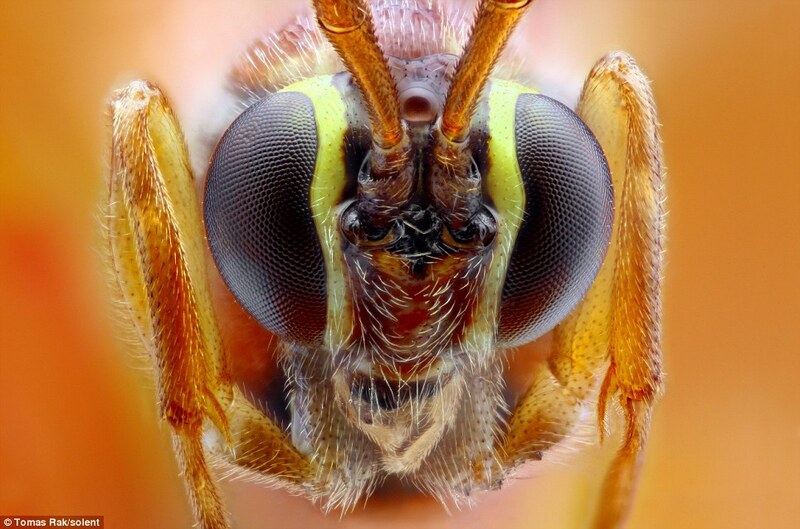 My record is 687 shots to make up a single insect. 'I look for insects everywhere, I always have a pot with me in case I see something interesting. 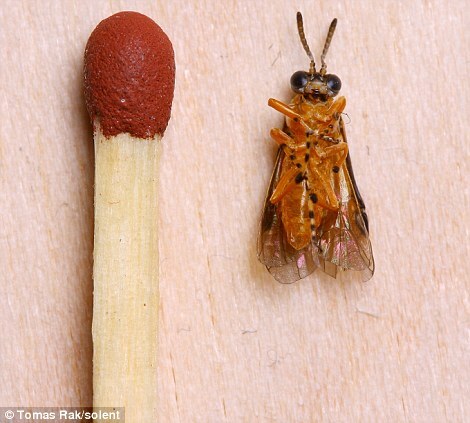 Mr Rak, 29, added: 'Microphotography can teach other people what these insects really look like. 'My photos are pretty artistic. I particularly like to take shots of insects because I like their shape and they have so many invisible details which you don't usually see. The vivid backgrounds in the images are real flowers which are then carefully boosted by the editing software. Mr Rak has only been practising microphotography for eight months. 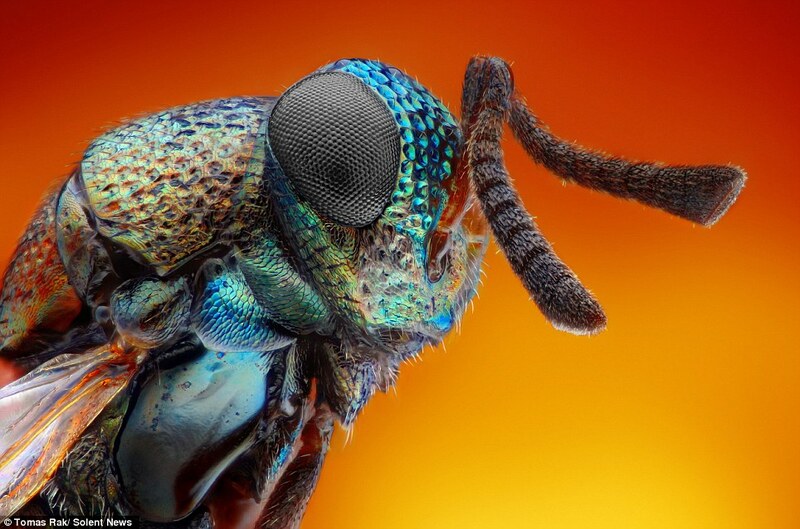 He had previously become a dab hand at macrophotography, a technique which also examines the smallest of objects, but not to a microscopic level. He said: 'Microphotography is more difficult and more time consuming than macrophotography because with such huge magnifications, the depth of field has to be very small.